Real-time device synchronization or even a simple and straightforward data transfer of photos, music, and files between Mac and Android folders can become somewhat of a tough problem as there are no native solutions to bridge Android and Mac devices seamlessly. 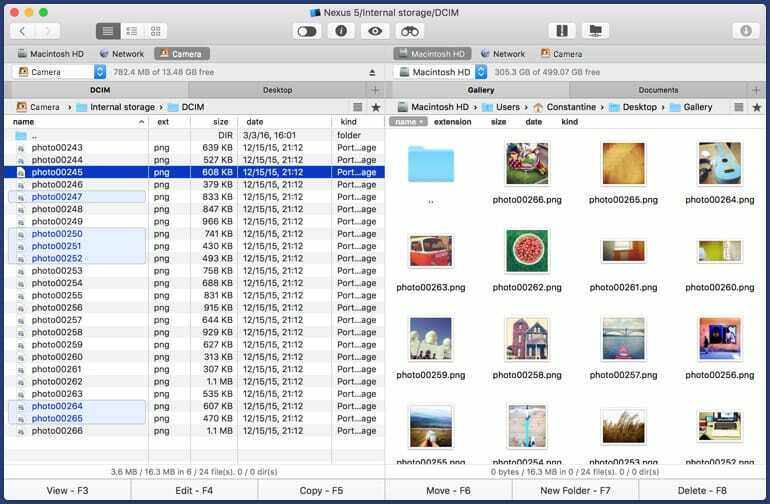 We handpicked and compared a few popular programs that will let you transfer photos, video, docs, and other files from Android to Mac with a minimum of technical preparations and connectivity issues. Some of these Android file transfer apps are extremely simple and free, while others are complex connection suites with the pro-grade functionality. You may download and test any of these Android file transfer managers for Mac immediately from this article. Send files and synchronize your data across a network including a variety of devices: Android, iOS, Macbook, MTP, mounted drives, etc. 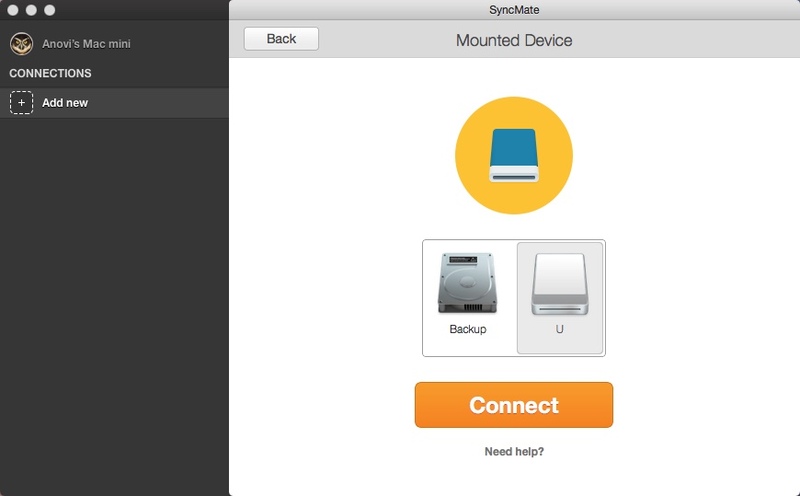 SyncMate works to transfer data between different phones/tablets and online profiles (iCloud, Google), and supports the most popular Android-to-Mac transfer and vice versa, disregarding device models. 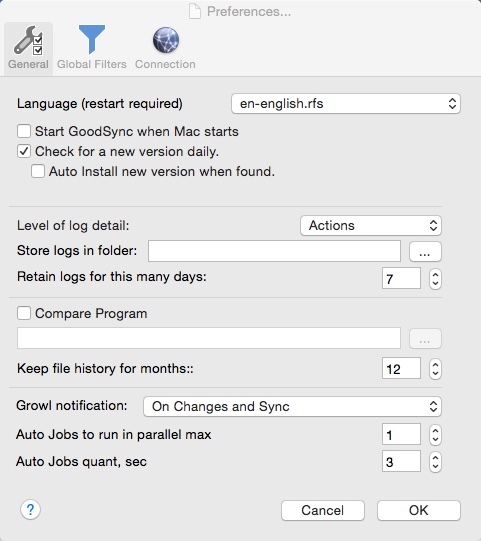 For example, it helps you sync Contact and Calendar records between Mac and other supported devices, and mounts Android devices as standalone Mac OS X disks. The paid version offers even more possibilities (iTunes, Photos, folders, bookmarks sync) for $39.95 USD. 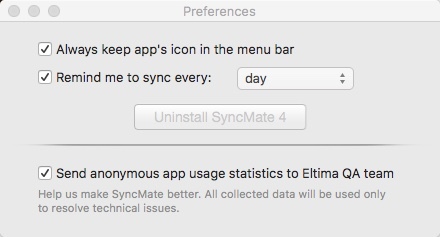 Sync data between Mac and multiple devices within one app. Mounts Android devices, such as phones or tablets, as separate Mac OS X disks. Runs the sync processes in the system background. 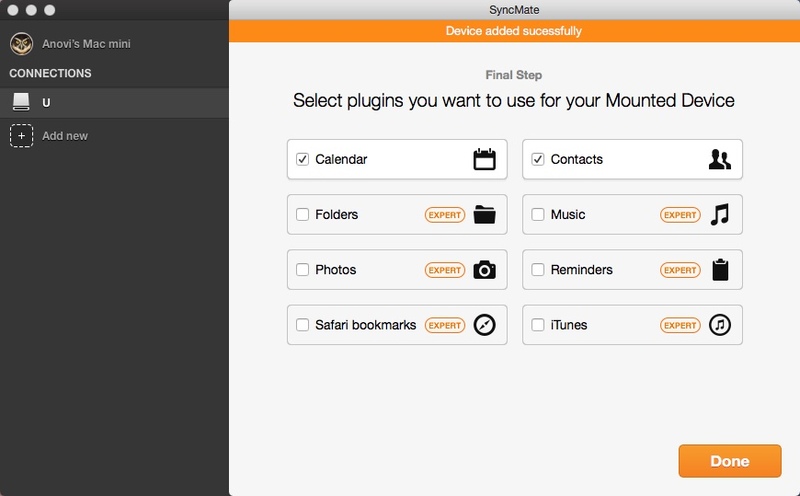 Multiple sync options, such as: Android, iOS, Google Account, iCloud, MTP Device, Office 365 Home, etc. Automatic sync that is performed with the help of USB, Wi-Fi or Bluetooth. Compatible with many device types, models, versions. Protects data and keeps critical information safe. 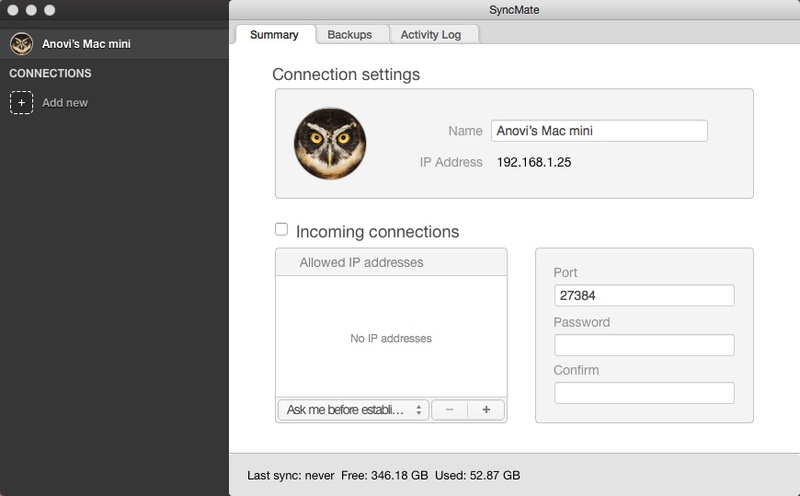 Two-way synchronizes your Mac with multiple devices, tablets or phones concurrently. Some of the claimed options, such as Music and iTunes sync, are reported to work poorly. Not the fastest transfer speed. 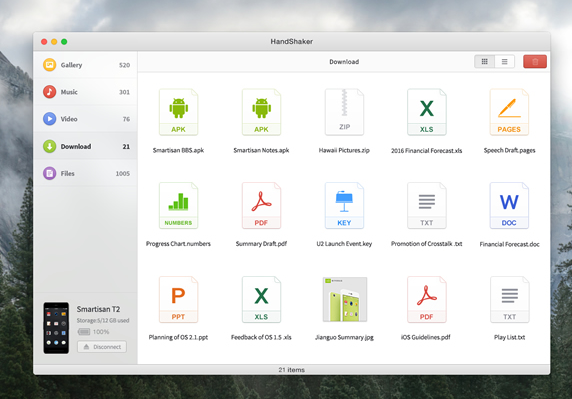 It is a simple dual-pane file manager that allows an easy mounting of Android devices on your Mac. You need to connect such a phone or tablet to a Mac-powered computer via USB cable, and it will be auto-picked as a new disk. From now on you can operate an Android device in a way similar to local drives in either panel or file manager window view. Rename files as you're moving them between devices, and assign your own hotkeys to call certain functions faster. You may buy a separate Pro Pack for $29.99 USD to significantly improve functionality. 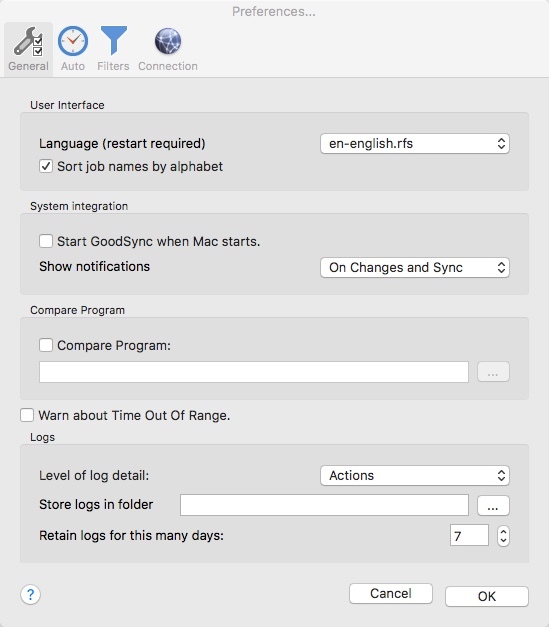 Supports Regular Expressions to perform complex searches. Feels like a native component of Mac OS. 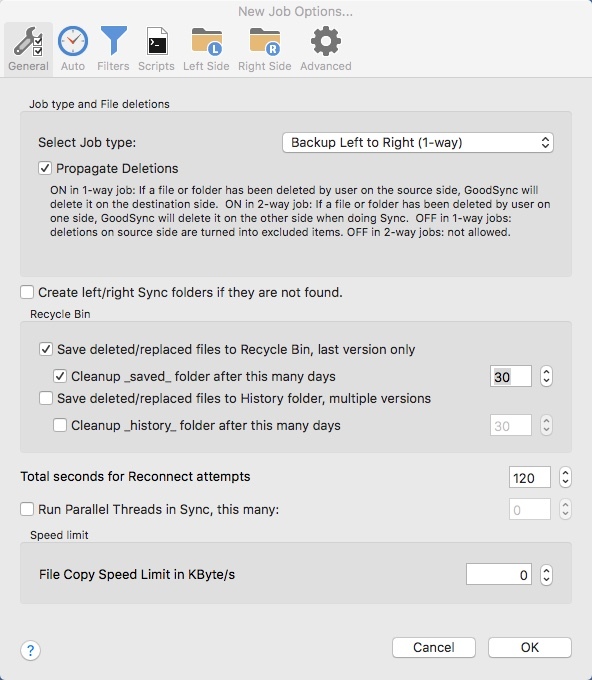 Simple drag-and-drop method for transfering files. Allows previewing binary files and HEX data without opening them. Dual-pane interface facilitates moving and copying files from one folder to another. Lets you create unlimited tabs, with each tab for a standalone folder. Each tab has independent settings. You cannot switch to a single-pane view. 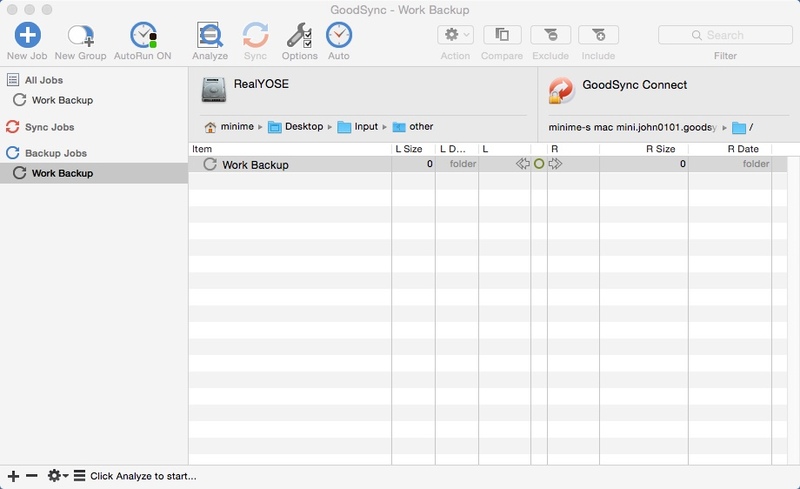 It's a powerful file synchronization and backup suite that can be installed on Windows, Mac, Linux, or NAS platforms, supporting all popular protocols and cloud services. It automatically locates the files you want to synchronize or duplicate for a reserve copy or alternatively lets you choose their destination manually. Then it proceeds with a one time, periodical, or pre-scheduled synchronization/copying at your option. 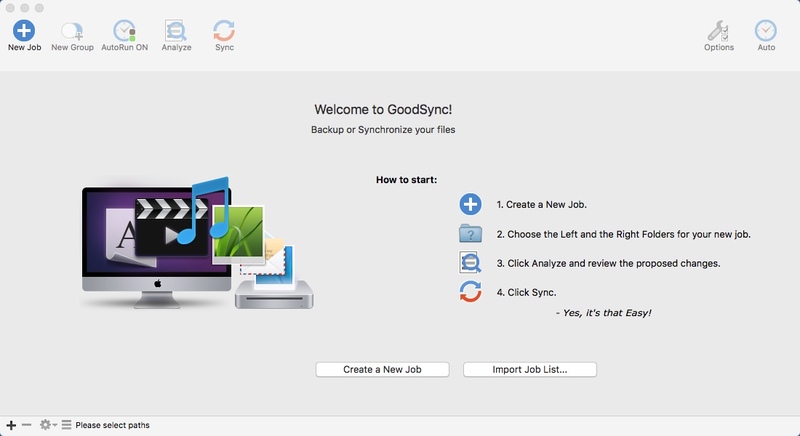 GoodSync delivers either one-way or two-way synchronization in a safe, data-protected manner powered by AES-256 bit encryption. Price per copy starts at $49.95 USD for personal license. Scheduling of a fully automated backup and synchronization sessions. Reduced backup time and network resource consumption owing to selective data updating. Limited maximum allowed bandwidth speed prevents slowdowns of other services. Automatically resolves data/file version conflicts. Reconnects distant locations if they got disconnected during Analyze or Sync session. Runs in the background with a constant readiness to start/stop operations. 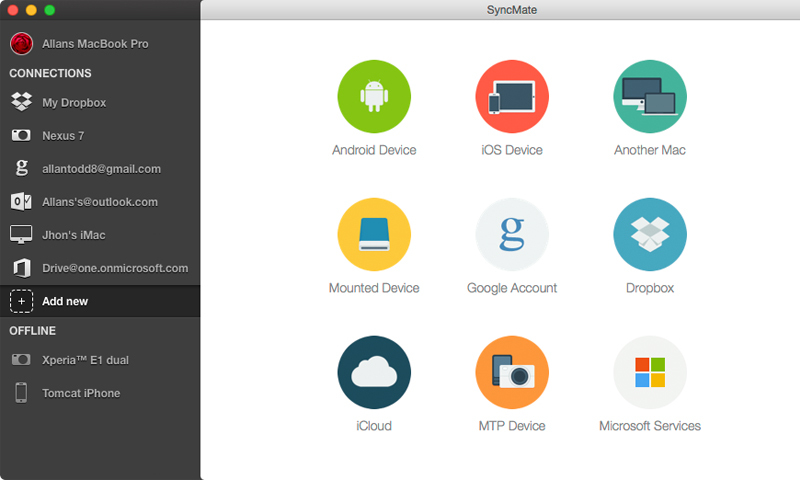 Syncs data between a computer, mobile devices, FTP, SFTP, Amazon S3, Google Drive, SkyDrive, WebDAV, Azure. Verified file copying through checksum comparison. All file operations are logged and all changes reported. Seamlessly operates with the files, which are open by the user at the moment of accessing. May appear a bit complicated and taking time to set up. A number of sporadic glitches, such as sudden sync interruptions were reported. It's an easy-to-use file transfer utility running in a LAN-based environment with a possibility to open received files immediately from the app. 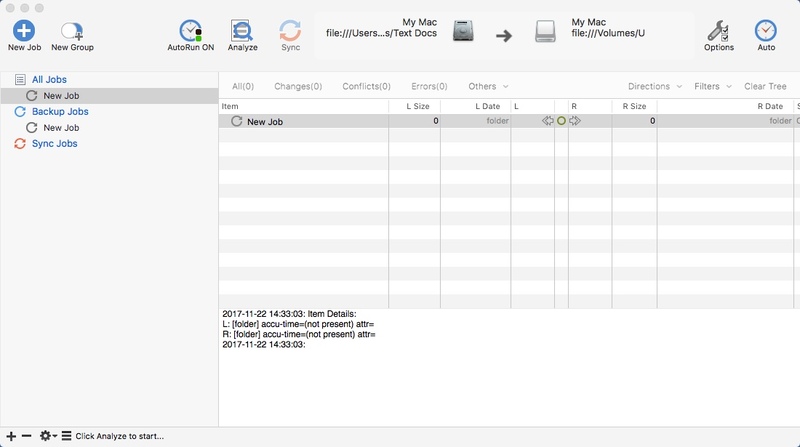 It lets you send the files from one device to another despite possible administrative barriers, such as user profiles and permissions, OS, protocols, clients, servers, etc. 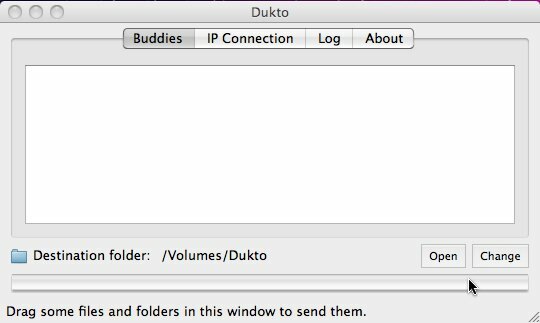 Make sure Dukto is working on two computers/devices connected to the same network, and then simply drag-and-drop the selected objects to a specific window. It is compatible with Windows, OS X, Linux, and Symbian. Quickly sends and receives short text fragments, such as URLs, from one device to another. 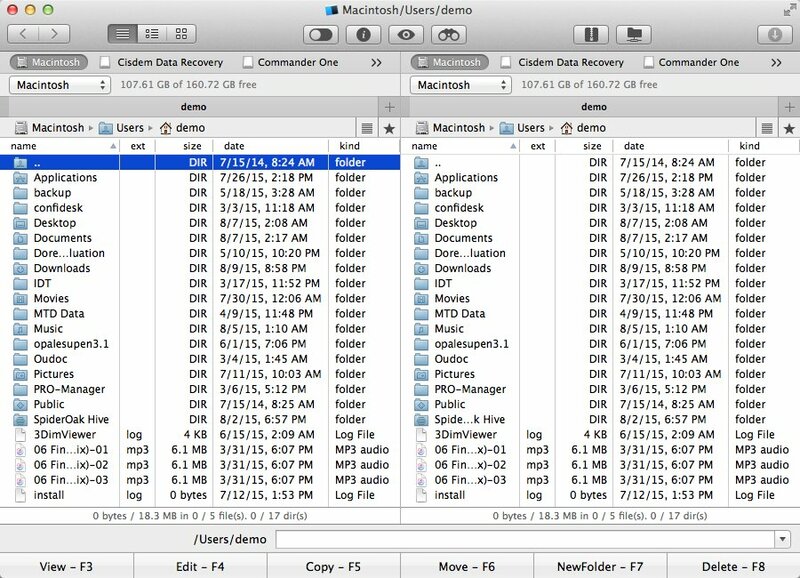 Possibility to send multiple files/folders at once. Picks up IP addresses of your devices. Taskbar integration: an indicator showing the transfer progression. No need to know IP addresses: the clients get auto-discovered once appear in the same network. Plug-and-play: portable, no need for server installation, layman-level config. No password or encryption: should be used on safe/trusted networks only. No powerful team behind it: belongs to a sole developer. It simply allows managing an Android device's content from Mac, and, of course, lets you transfer the needed content. View or move files, manage your phone's clipboard and external SD card, connect wirelessly or via USB cable, etc. Probably, it's one of the simplest and less featured apps we reviewed - it's free, easy to use and pretty fast. Works for Mac and Windows. Allows moving or browsing your device's content. Segregates the files in different predefined categories. Works with many kinds of the phones and tablets. Give you access to all photos, music, videos and files. Very fast and lightweight UI. Select a file and open it right from your phone. No way to back up/restore your device. Not good at transferring large files. 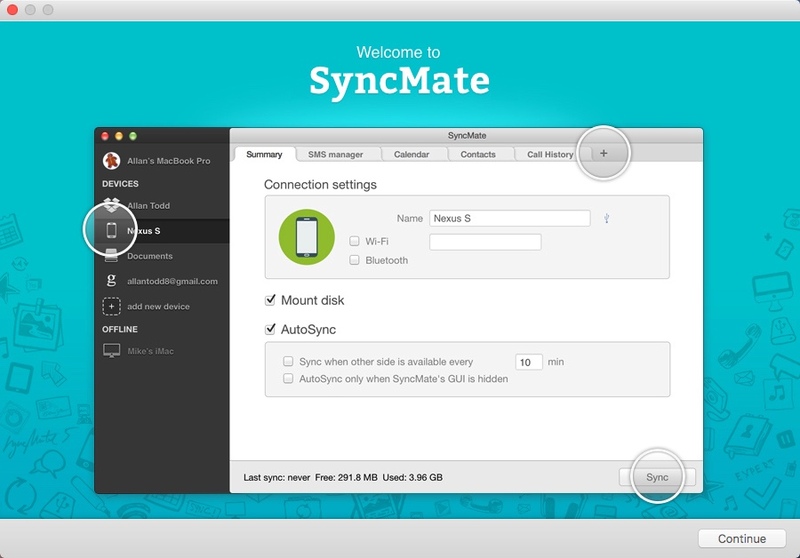 As you can see all these apps have everything necessary to let you transfer files from Android to Mac and vice versa, but the rest of the features is very different - from powerful synchronization solutions, like SyncMate, to simple direct file transfer utilities like Dukto. What would be your choice? Please share it in the comments.